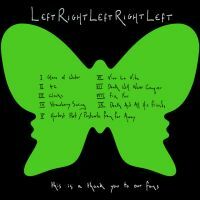 Following up the give-away of a free song back in May, Coldplay is offering their new album Left Right Left Right Left to fans for free. The album is a collection of live tracks and is also being handed out in hard copy for free to anyone who attends their summer tour. While you won't find me hating on Coldplay quite as much as Zac Bissonnette did that last time they offered up a freebie, I can definitely say I wouldn't spend the money on this album. Thankfully I can get it free and keep a copy on my MP3 player in case I ever find myself on a roadtrip with Zac. Seriously though, the album has good reviews from fans who like Coldplay, and you don't have to pay for it, so you've got nothing but 55 megabytes of hard drive space to lose.